Adobe Photoshop is the most popular image editing software that having lots of features for photo designers and everyone. Adobe released a free lite version of Photoshop called Photoshop Express for Android and iOS devices before some months. Now they have released the Photoshop Express application for Windows 8 and Windows RT devices. 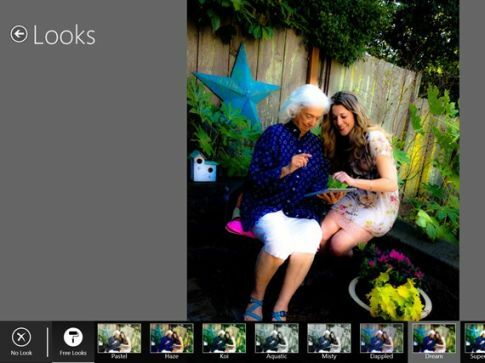 Photoshop Express lets you modify images on smartphones and tablets also. It allows you on-the-go photo editing works easily like crop the images, rotage, remove red eye problem, adjust colors, brightness, contrast and add more cool effects to your photos. • Basics : Crop, straighten, rotate, and flip your photos. Remove red eye. • Auto-Fix : One-touch adjustment for brightness, exposure and shadows. • Color : Slider controls for exposure, contrast, clarity, vibrance and more. • One-touch filters : Choose from more than 15 eye-catching effects! • Upload your photos to Adobe Revel to sync them across your devices. The app has some more functions like Noise Reduction pack and Looks pack are available as in-app purchases. Thanks ponmalar. This is very useful to me and I am upset with windows photo viewer and other free photo editing softwares.